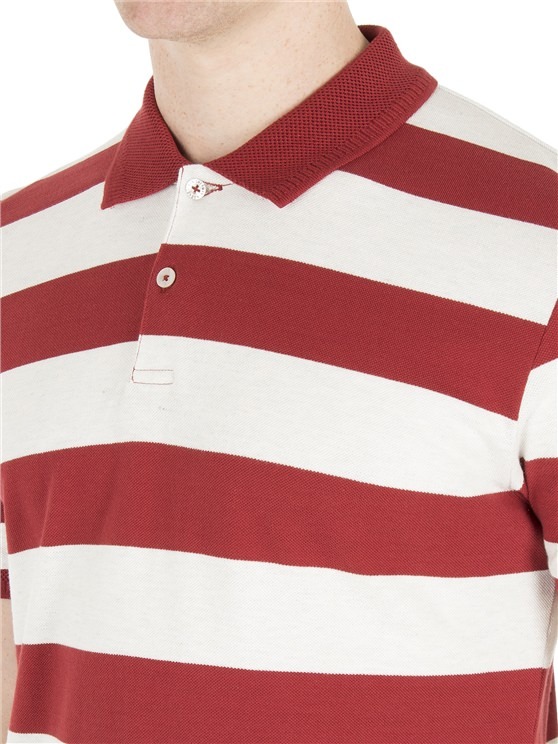 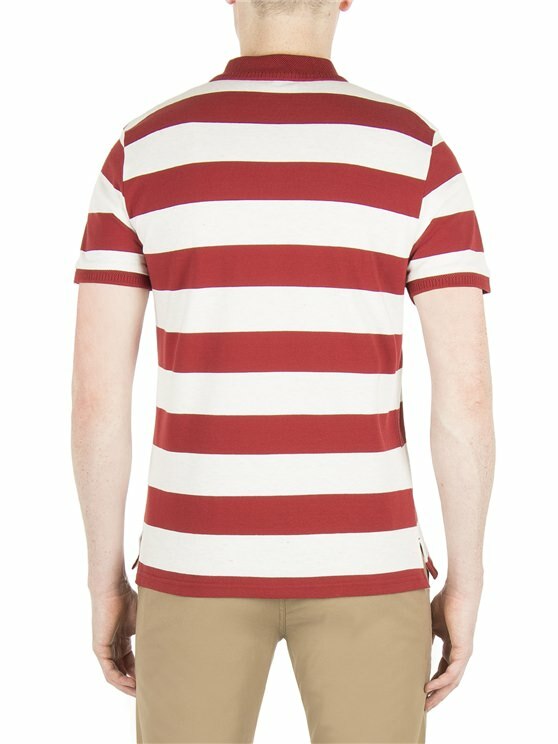 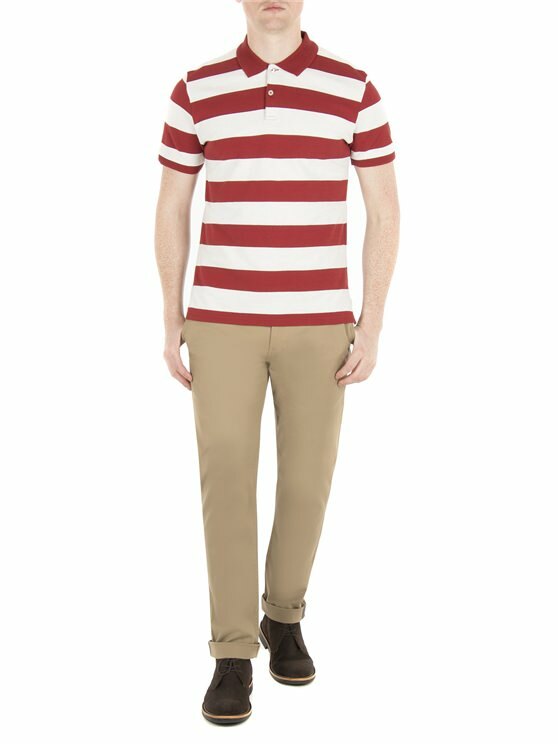 A Classic two tone stripe pique polo. 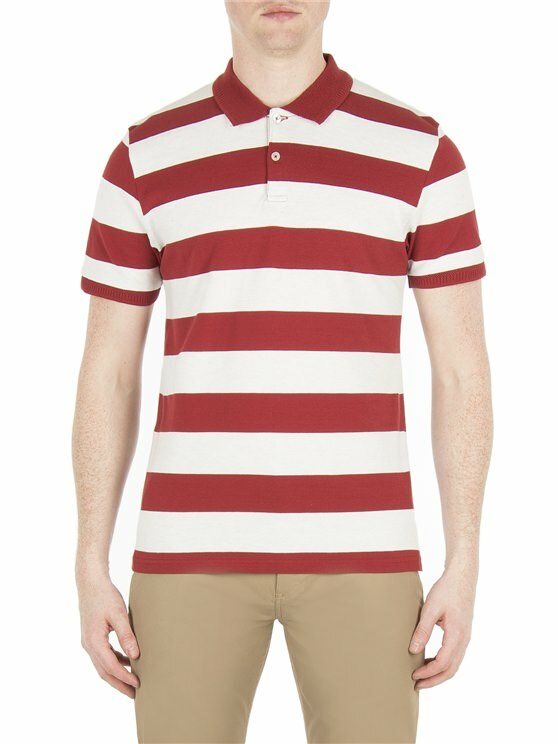 Constructed from a yarn dyed Pique knit featuring bold stripes, a classic summer look. 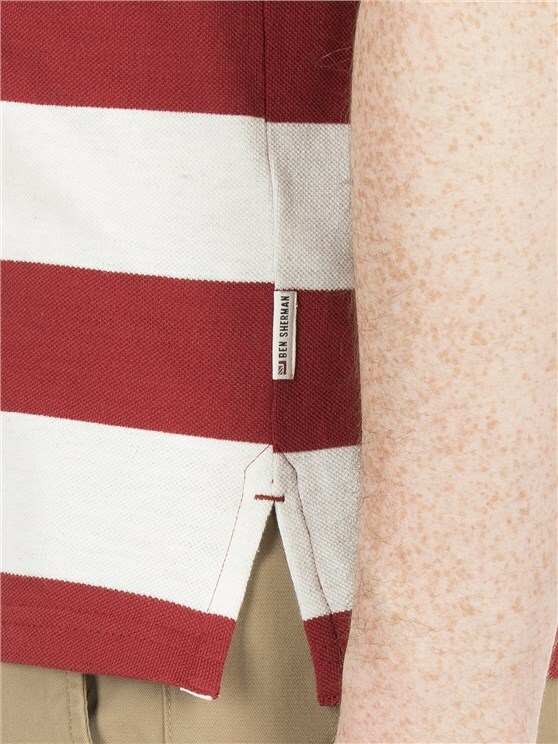 It features a 2 button placket, Honeycomb detailing to the collar, side seam vents and branded tab.